Robbie Tarrant has echoed the thoughts Brad Scott, backing North’s players to turn their tough start around. 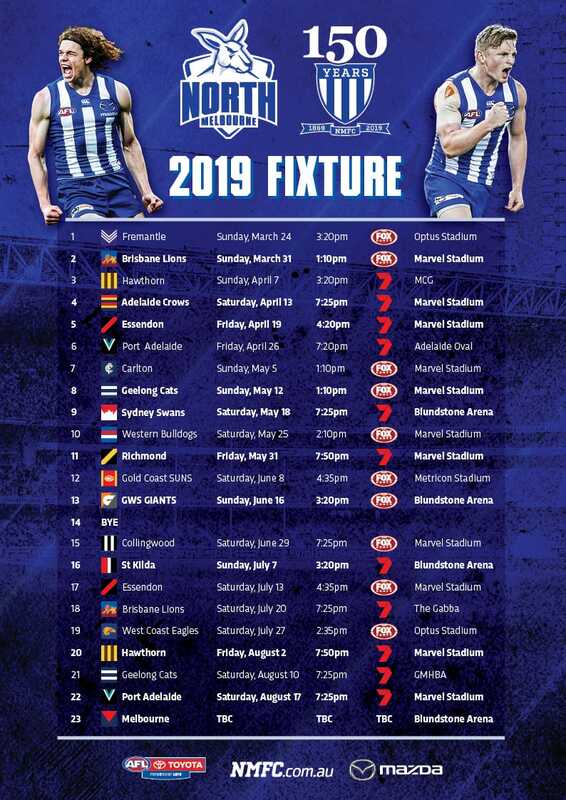 North Melbourne is planning to have star defender Robbie Tarrant on the trip west to face Fremantle. Tarrant was born in Mildura, and played his TAC Cup football for the Bendigo Pioneers. After being overlooked for the 2006 draft due to shoulder injuries, the 196cm key position player rebounded with an impressive 2007 campaign for the Pioneers. While working for the Bendigo Bank, Tarrant impressed AFL scouts with his dedication to work while still playing at a high level. Impressive results in the beep test and 20 metre sprint at the 2007 draft camp cemented the youngster as a draftee. It was North Melbourne who used its first round pick on the brother of Collingwood’s Chris, selecting Robbie with number 15. Robbie Tarrant remained one of the most underrated defenders in the competition, as he produced another impressive season down back. 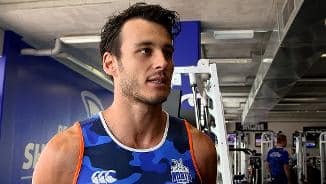 Tarrant fought through injuries towards the end of the season to play 21 games for the year, only missing Round 3 against Melbourne. The key defender starred on multiple occasions throughout the year, including Round 5 when he recorded 20 disposals and took 16 marks, as well as Round 16 when he had 26 disposals and 10 marks. The 29-year-old was appropriately recognised for his high quality performances, coming third in the Syd Barker Medal count. 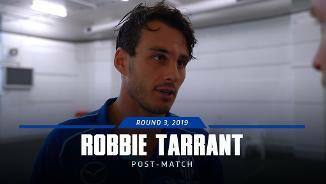 Robbie Tarrant endured a difficult start to 2017, as he found himself up against a red-hot Josh Kennedy, who got the better of the contest as he kicked 7 goals. From this tough start, Tarrant bounced back to enjoy another strong year, excelling as the focal point of the North backline. The 2016 All-Australian squad member and Syd Barker Medallist was again a model of consistency, with his numbers reflecting this. 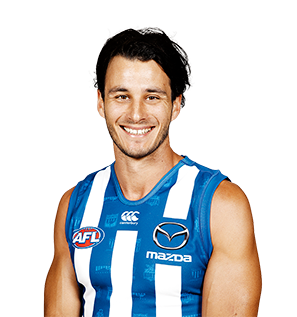 Tarrant recorded a career high 17.8 disposals per game, with his 6.2 marks per game only bettered in 2016. After a host of injury problems early in his career, Tarrant played his 100th game for North at Port Adelaide. 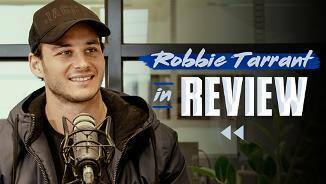 “To not know a hell of a lot about Robbie before I came here, and then to see his effort and output he puts on the training track, and then the actual talent that he’s got. “It was all about getting his body right and consistency through training. Then that manoeuvred into game day and he just got better and better as the season went on. “He played on all the best players and the majority of the time he beat them and that’s all you can ask. “We saw Taz train in the pre-season and were confident he’d have a good year. “We knew with his size and athleticism we had a defender in the making but it was about how quickly he’d pick up the nuances of the game. Obviously it’s a little different being a defender to a forward. “He’s a supreme athlete. For a guy of his size and strength, to be able to move the way he does is a real weapon. “The big thing for him is just learning the nuances of defence. He’s really like a first year defender in a way, because all his previous footy has been up forward for the most part. Tarrant was able to play just one game in a 2014 plagued by injuries. His year started off slowly as he attempted to recover from a persistent stress reaction in his tibia. It was the same problem which affected the first half of 2013, and it looked like it would ruin all of 2014 as well. Nevertheless, after an intense training program, Tarrant was able to return to full fitness halfway through the season and returned for Werribee early in June. 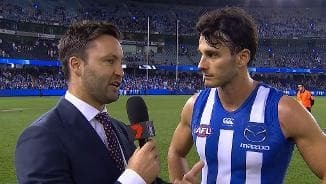 One game was all that was needed for the key-position forward to return to the North Melbourne side, travelling to Adelaide to face the Crows. Unfortunately the number 25 pulled up sore from his season debut and was later found to have aggravated the old injury. He would eventually be ruled out for the season. With his recovery going to plan, the 25-year-old should resume training in December. “We just need to get Robbie right. We know what he can do when he’s in the side. "His work rate is second to none in terms of being able to lead and present over the whole game." 2013 was one of Tarrant’s most frustrating seasons. Missing nine consecutive games due to nerve damage in his leg, Tarrant returned with seven goals in two games against GWS and Brisbane. However a slight knee injury against the Lions proved to trouble Tarrant again. While he continued to play and provide valuable structure up forward, he was unable to hit the scoreboard as regularly as he would have liked. 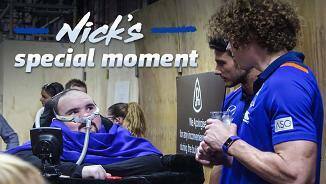 2012 was Tarrant's first injury free year and it was reflected with a total of 16 games for the season. However, he only managed three games in the first half of the season as he battled with his form in the VFL with Werribee. Ultimately it was a string of strong performances which earned a call-up for the Round 12 game against Gold Coast at Metricon Stadium. 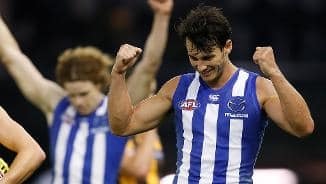 Despite just three behinds, Tarrant showed enough to be retained for next week's game against Adelaide and it was here he started a run of 23 goals in just nine games. Tarrant completed a full pre-season and appeared set to cement his spot with 21 possessions in the season opener against West Coast. Unfortunately he suffered further injury problems and only played seven games for the season. With two injury interrupted seasons behind him, Tarrant was finally able to make his debut in 2010 against Sydney in Round 15. After two games and a taste of senior football, he was unable to play again in the senior side for the rest of the season.